The company, a family-owned business, engages in producing high quality diamonds. Every year, the Ministry of Economy and Industry honors the activity of leading Israeli exporters in various fields and large cross-sections, via the “Export Award”. The “Export Award” for 2017 was given to Yondor. 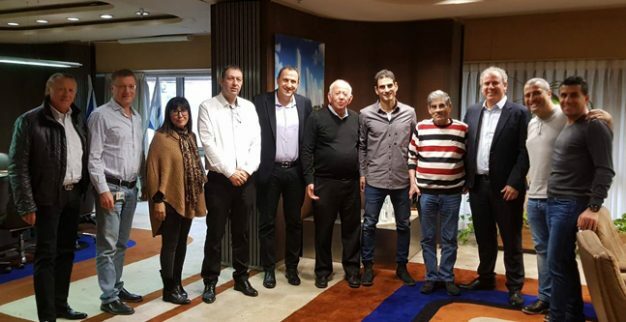 “The Israeli export is the growth diameter of the Israeli market and a central source for stable employment, and social and financial prosperity”, wrote Ohad Cohen, manager of the Foreign Trade Administration, in the notice to the company. “I wish to reinforce you and all the employees of your company for your success, and I hope that your company’s growth in export will continue to advance in the upcoming years”. Yondor is a family-owned company that deals with producing high quality diamonds, sized one karate and more. The company focuses on white and color diamonds, of high qualities and unique shapes, certified by the world’s chief gemological laboratories. The company has been operating in the diamond field for over 30 years. The selection committee on behalf of the Ministry of Economy was led by Sigal Shidlovsky, the Vice Diamond Controller.